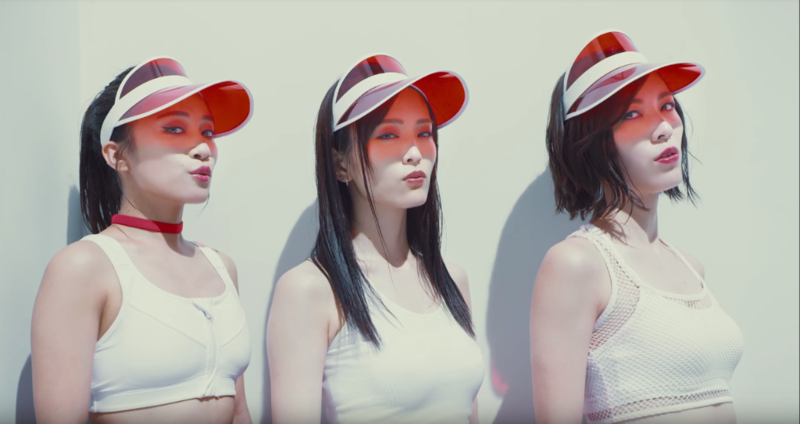 AKB48 has released short version MVs of the b-sides for their upcoming single 11gatsu no Anklet. The song Yaban na Kyuuai is performed by the “AKB48 Dance Team”. This consists of 8 members in total, including SKE48 member Jurina Matsui and NMB48 member Sayaka Yamoto. Decked out in red and white outfits the girls showoff their cool charm in an upbeat dance number. The white setting of the MV makes for a very simple, yet visually pleasing aesthetic. Yaban na Kyuuwai will be available on Type D versions of 11gatsu no Anklet. Hohoemi no Toki features 7 members, including Team 4 member Haruka Komiyama. The mid tempo song is accompanied by a MV with the girls wearing elegant white outfits. Hohoemi no Toki will be included on Type C versions of the single. The funky upbeat song Houtei Sokudo to Yuuetsukan is performed by the U-17 Senbatsu. The cute and colorful MV showcases the members having fantasies about their dreams coming true. Meeting a price, becoming a train conductor, and even becoming a super hero! Houtei Sokudo to Yuuetsukan is included on Type E versions of the single. Lastly, Ikiru Koto ni Nekkyou wo! is performed by Team 8. The girls are seen playing with bubbles in a giant field, and then sing and dance at their school. Riveting! Ikiru Koto ni Nekkyou wo! will be included on Type B versions of the single. 11gatsu no Anklet will be released in Japan nationwide on November 22nd, 2017.